There will be a seed swap sponsored by the Southern Exposure Seed Exchange at the Mother Earth News Fair Pavillion as part of the Green Festival on October 23rd and 24th. Share your seeds, your knowledge and your enthusiasm for different plant varieties with other gardeners and farmers! Connect with folks who might be your neighbors, or from anywhere in your bioregion and bring any seeds you have to share. Bring all seeds, whether you’ve saved them yourself or even have varieties leftover from this year’s garden! This is an informal, relaxed event and beginners are welcome. 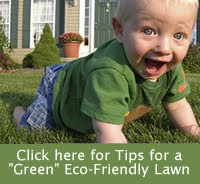 For more information, visit the Mother Earth news website.